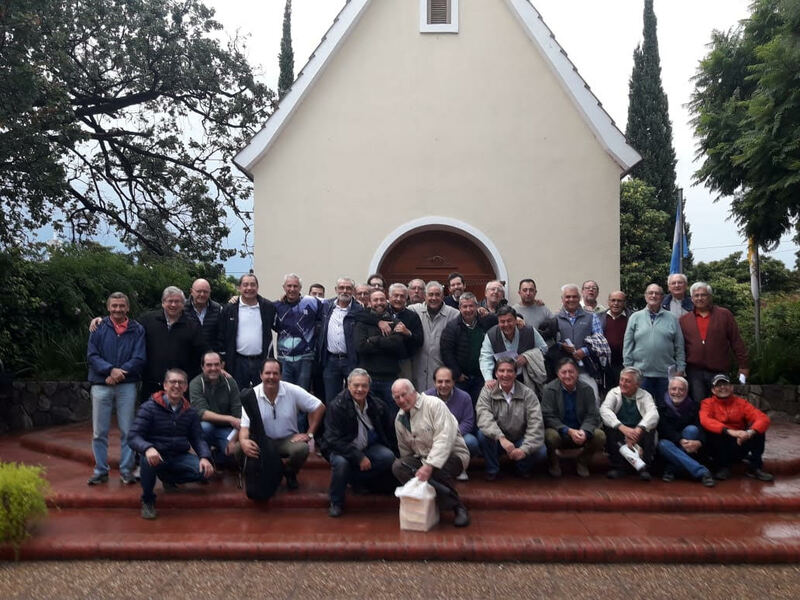 Madrugadores del Cerro meet on the first and third Saturdays of each month, punctually from 7 to 9 am, by the Shrine of Life and Hope in Córdoba, Argentina. They must set out additional chairs at this site, as the average attendance reaches thirty-five men at a time. During a meeting, a constant element during the first hour is the enthusiasm in the songs and the dedication to prayer. 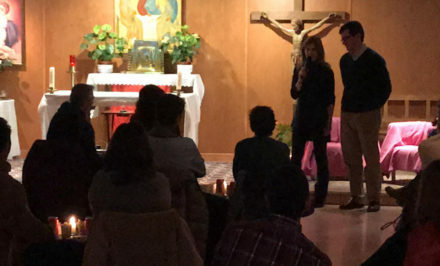 (The first Saturday meetings include Mass, while the third Saturday meetings include the prayers to the Father, the Holy Rosary, and of course, many songs.) The second hour of a Saturday meeting has its own common denominators — a joyful meeting, an anticipated breakfast, and then the serious preparation and discussion of the topic lesson. “It’s heartwarming to see how they embrace praying the Lord’s Prayer in the shrine as their Consecration to Mary,” a new participant commented to us. The Madrugadores participate in a monthly service event for the homeless by collaborating with a local soup kitchen, and they have a yearly service project with a kindergarten from the province. 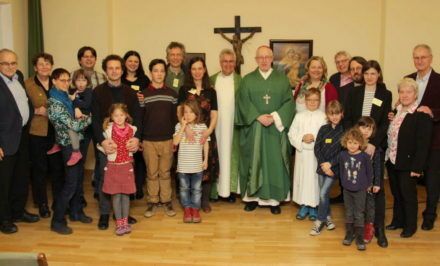 In addition, they are ready to offer their services to the Schoenstatt Family, both with their choir and with the other Branches of Madrugadores (such as the “JM” Branch which was entertained with delicious sausage sandwiches, or choripanes, during its pilgrimage to Villa Cura Brochero in Córdoba). 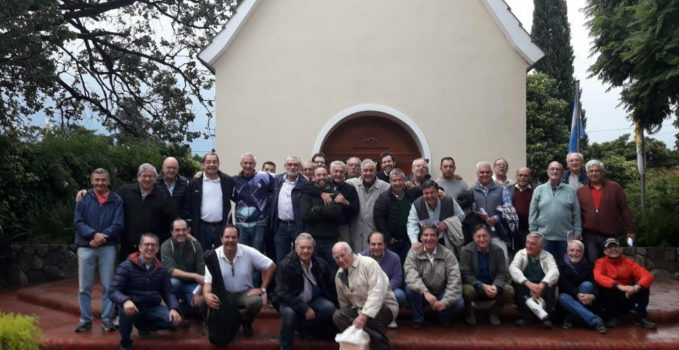 The Madrugadores de Cerro continue to serve the Church, especially as they grow. 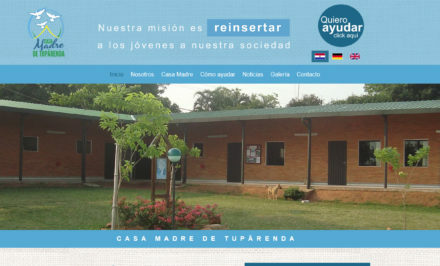 On March 30th, in La Falda, they will help to form the first community of Madrugadores del Valle de Punilla. While Madrugadores enjoy both the early mornings and their social encounters, they are very clear that they come for the prayer. 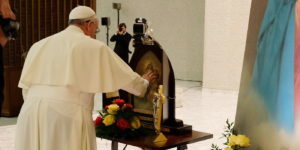 Because of this, they offer both prayers and songs with reverence, during their meetings and around the Schoenstatt Pilgrim MTA who travels among their homes. Their ideal is to bring more men’s hearts close to Mary’s, to grow in spirituality and in depth— it’s not the goal to grow only in numbers. The goal is to present this alternative in all areas of life, where they need to take action! We give thanks for Father Juan José Riba, who with such great care prays for us, and the community of Argentinean Madrugadores, and those close to the hearts of all of us. We are grateful for his faithfulness in accompanying us, the Córdoba Family. And, of course, we give our thanks to the beloved Mother of God. The faithful bring their effort, and she brings the results!